A really interesting feature introduced with Mathematica 7 was the addition of a suite of image processing functions from trivial to highly sophisticated. To apply them to images, you don’t need to use any form of import command or file name references. Just type the command you want to use, then drag and drop the image from your desktop or browser right into the input line. I mean, just look at this picture below. Ain’t that cool? 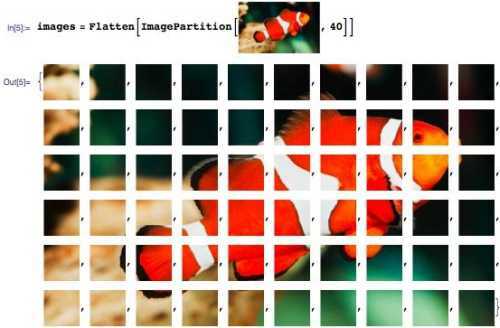 More crazy image processing results with Mathematica from the Wolfram blog. I’ve learned a bit of Mathlab and Mathematica back in Uni and was quite fascinated what these 2 software packages can do. They were widely used in the science, engineering and mathmatical courses and more to do with computing complex mathematical data and equations. If only I had started blogging back then and record what I’ve done. Don’t think I can use it at a competitive level anymore unless with some training. BTW, does Mathlab has similar image processing capabilities? Anyone?